RMX-500 Plug-in is a plug-in software application. To use this software, the plug-in must be running within a host application supporting the plug-in (VST or Audio Units). By using RMX-500 Plug-in, the same effects as during DJ performances can be used on a music creation application. In this way, the RMX-500 can be connected to a computer and used as a controller, so the various functions can be used to create music intuitively, in the same way as when holding DJ performances. RMX-1000 Plug-in is a plug-in software application. To use this software, the plug-in must be running within a host application supporting the plug-in (VST or Audio Units). 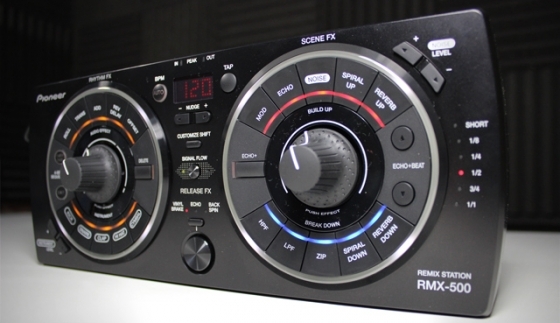 By using RMX-1000 Plug-in, the same effects as during DJ performances can be used on a music creation application. In this way, the RMX-1000 can be connected to a computer and used as a controller, so the various functions can be used to create music intuitively, in the same way as when holding DJ performances.